Ever created what you thought was a great and engaging social media post, only to be disappointed when no one even liked it? Well, don’t beat yourself up. Your post may have indeed been great. However, you probably fell victim to poor reach! The First Step in Creating Engagement…… REACH! Something that is often left out of conversations on improving engagement, is making sure your posts are reaching enough people from the start. Thanks to constantly changing algorithms, if people don’t start engaging with a post within the first hour or even minutes of posting, most platforms will stop showing that post to people and you can kiss your chances of anyone ever seeing it goodbye. The primary goal of any social media platform is to keep users happy so they will spend more time on said platform, giving advertisers more people to target. That’s why when a post is created, the main thing the platform wants to know is, “Will people find this post valuable?” This isn’t true for just business pages. It also pertains to personal profiles as well. 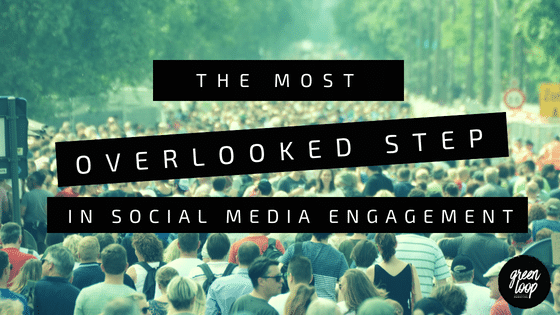 The number of people that see your post is determined by several things, one of the most important of which is how quickly people start engaging. All of that seems logical, but how are you supposed to get anyone to engage with your posts when each post only reaches a small fraction of your follower base? Many times, that percentage is so small, that it has little chance to gain any traction. It almost becomes a, “Which came first, the chicken or the egg?” type of question. You can’t get engagement if your posts don’t reach many people. But you can’t get any reach if no one engages with your post. So, how do you improve reach? First, look at your follower base. If you don’t have a large following, invest in some audience-building techniques. But whatever you do, never, ever buy followers. These “people” won’t engage with your posts, defeating the whole purpose of increasing your follower base. In turn, your posts will be penalized because of the large percentage of followers that don’t engage. Most importantly, these fake followers won’t ever buy anything from you. All that being said, don’t get too hung up on your number of followers. Today’s social media is more about who sees and interacts with your post, but a respectable number of followers never hurts. Think about it. Everyone’s newsfeeds are crowded. And most people probably only want to hear from any one brand so often. Social platforms know this and will drastically reduce your reach if you post too much. The best frequency of posts is highly variable to the specific brand. However, the more you post each day, the less and less reach you will get. Reduced frequency is a good reason to be very selective in the content of your posts. Look at your past results and the results of other industry influencers. Only post material you think will be engaging. Don’t publish something just because your social content calendar says so. By focusing more on quality instead of quantity, you will not only reduce your frequency but also improve the over value of your content. It’s also worth paying attention to the multitude of algorithm changes that each platform makes and what that means to how they evaluate posts. For instance, hashtags help reach on some platforms but hurt reach on others. Likewise, the reach you get when sharing posts from other accounts is very low on some platforms, and higher on others. We’ve all been spoiled into thinking that social media marketing should be cheap or free. Today’s social algorithms are designed to drive businesses to spend money in order to achieve social reach. Reports indicate that at some point, reaching any of your followers for free will be a thing of the past. On the upside, social media advertising can be much less expensive while also being more targeted than traditional advertising methods. If no one interacts with a post you feel is important, it’s worth putting some advertising money behind it to ensure people see it. After you’ve dedicated a small budget to get the post some reach, examine the level of engagement to determine if it’s worth continuing to invest in the post. Beyond advertising to optimize for engagement, you’ll also want to create social advertising campaigns optimized for your specific objectives such as lead generation, website conversions, or even event attendance. Social media remains to be an integral and necessary component of most businesses’ marketing strategy. Be sure your efforts are worthwhile by ensuring your posts get good reach! 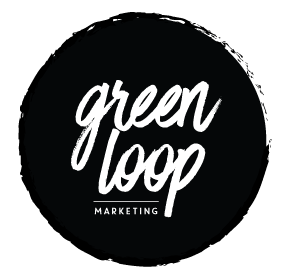 Green Loop Marketing is a full-service agency located in Indianapolis, Indiana. We combine solid social media skills with great content, community outreach, and strong overall strategy to drive visitors to your website or place of business. The result is increased awareness, better brand affinity, and higher sales.